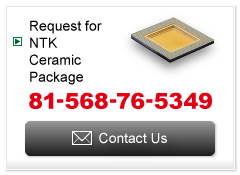 Started the manufacture of NTK techinical ceramics. Started the manufacture of ceramic I.C. packages. Established Kani Ceramic Co., Ltd. Takenami Ceramic Co., Ltd. and Iijima Ceramic Co., Ltd. Established Nakatsugawa Ceramic Co., Ltd.